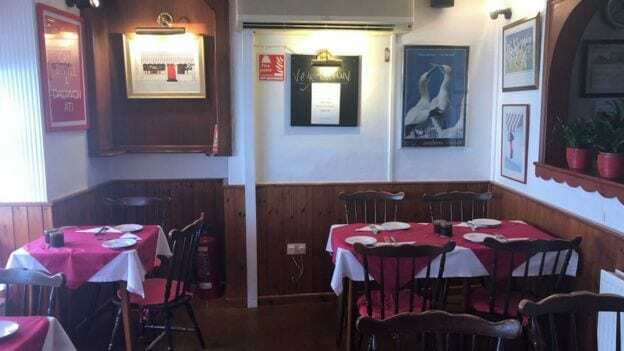 Gannets Bistro was a well known and cosy restaurant in Aberystwyth and I was deeply saddened to find that the owners shut the doors for the last time back in October last year as it was a favourite place for my family and I to celebrate Birthdays and the like. The restaurant offered good food at reasonable prices and the service was always excellent. It was in some ways like stepping back into the 1980’s or early nineties with authentically vintage décor and a menu that offered egg mayonnaise, chilled melon or prawn cocktail for starters, whilst amongst the mains offerings was pork chops, mushroom stroganoff and chicken supreme. The prices and portion sizes where also reminiscent of times past with starters beginning at £2.50 and main meals from £8.50. At Gannets you certainly never went home hungry and everything was cooked with care and expertise. In short it was a nice, friendly place to dine, that was family orientated and offered good quality food at reasonable prices. Gannets Bistro was launched in 1984 by Dilys and David Mildon, when they purchased a little vegetarian bistro that they decided to convert from bean hot pots to comfortable, gourmet dining. The couple over 34 years have served thousands of locals, students and tourists and have enjoyed popularity that saw them featured in The Times and saw them cook for many celebrities visiting the seaside resort of Aberystwyth, in the last conversation that I had with Dilys and David they both expressed how they had loved working together in their restaurant and they had enjoyed every moment of their lives as restauranteurs, but that being over seventy they now wanted to enjoy a life of retirement. David had been a development chef for British Airways, Concorde and had a wonderful array of memories and indeed photographs relating to his high-flying chef career. 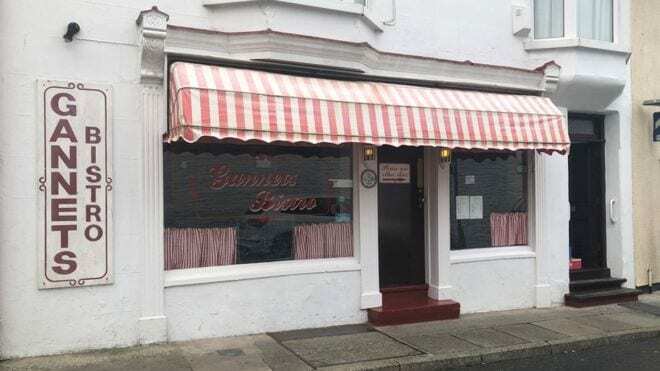 The couple decided to start Gannets because they wanted to spend more time as a family and to own their own restaurant before the age of forty. Gannets had a homely feel about it and a warmth that is sadly no longer common in restaurants. I personally loved the home cooked food and although the menu may have been considered dated, the dishes were always freshly prepared and well executed. I have enjoyed family meals and celebrations at Gannets and have some very fond memories of the place and the happy times we shared at this lovely little restaurant. 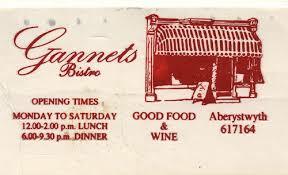 It is certain that Gannets was a rare, culinary gem that offered substance and good service, rather than the latest food fad and trend. It was a place where no burgers were on the menu and for this alone, I held Dilys and David in great esteem. I enjoyed a menu that offered an alternative to pasta and burgers, our current food trend for pizza, pasta and burgers is getting a little tiresome. In over three decades of the restaurant business, it is certain that the owners of Gannets have witnessed many changes in British dining and many changes in culinary trends. Indeed, since the 1980’s our portion sizes when dining out have most certainly shrunk and we have encountered an Italianisation of our diets, with pizza and pasta becoming staples. David noted that people are now more into less food on their plate and more into herbs and presentation. He said that, restaurants are now more likely to specialise in a particular type of food than they were when he started out. Well I never flew on Concorde but I can at least say that I have had the pleasure of being cooked for by one of the leading chefs from Concorde.